After multiple successful storefront art experiments at Diode Gallery Josh looked for ways to work on more storefront installations without leasing additional space. 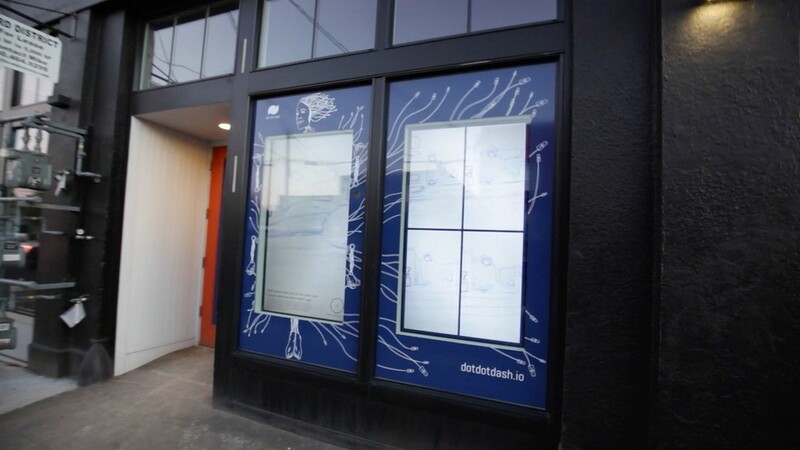 Upon discovering a strip of recently renovated but still empty storefronts in need of art, Josh brought together three of the best interactive agencies in Portland to make unique installations to fill the vacant spaces. Electric Storefronts created a temporary street level gallery of interactive art in the rapidly transforming Ford District. The installations brought vibrancy to the area as construction on the units was completed and tenants found. Participating agencies included Second Story, Helios Labs, and DotDotDash. Special thanks to all of the participating teams, individuals, and the Ford Garage staff for making this possible.